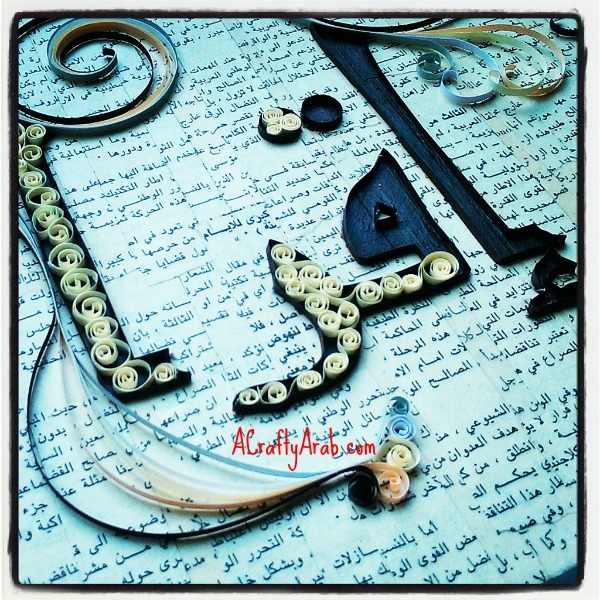 After finishing my Quilled Khatam, I got started on a new project, a Quilled Iqra. 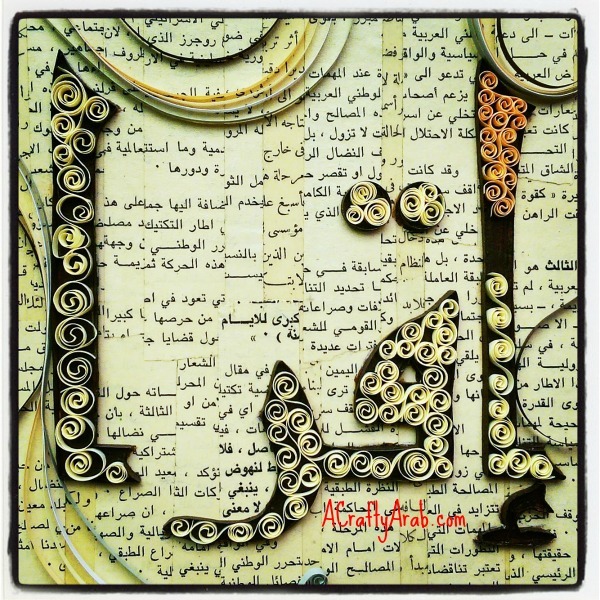 Iqra is the Arabic word for Read and it is written in the middle of the canvas, right to left and stuffed with beige beehive quilling. 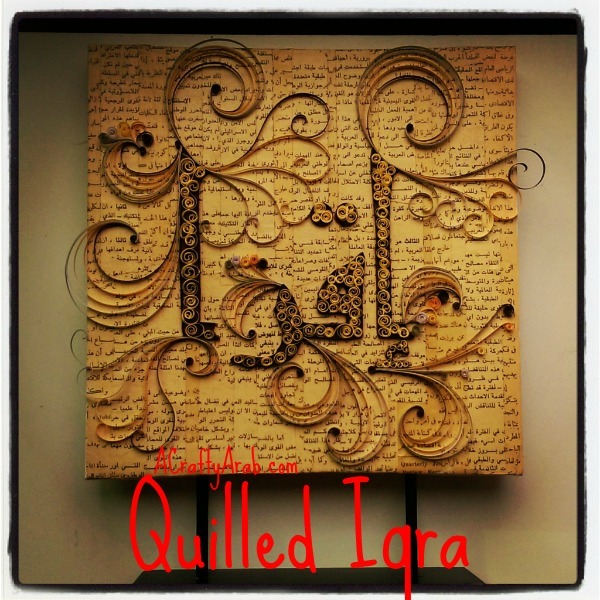 Scroll quilling and coils decorate around Iqra. I wanted to share with you how I did it in a tutorial, so you can try it also. This post contains affiliate links. 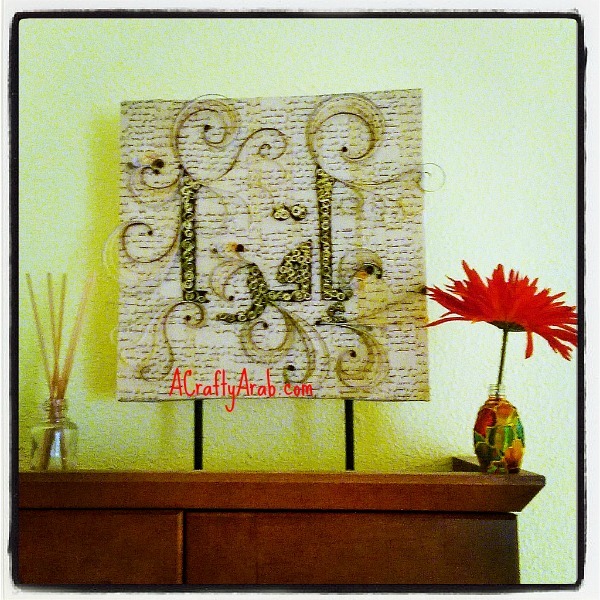 I started with a recyled canvas I picked up earlier this year. The original canvas had a quote about Friendship and a huge, hidious flower. I got my embossing heat gun, warmed up the canvas behind the flower a little bit and peeled it off. I then used acrylic paints to cover the front and sides white and the back beige. After a few days, and a few coats, I covered the canvas with parts from an old book of my father’s that I picked up a few years ago. 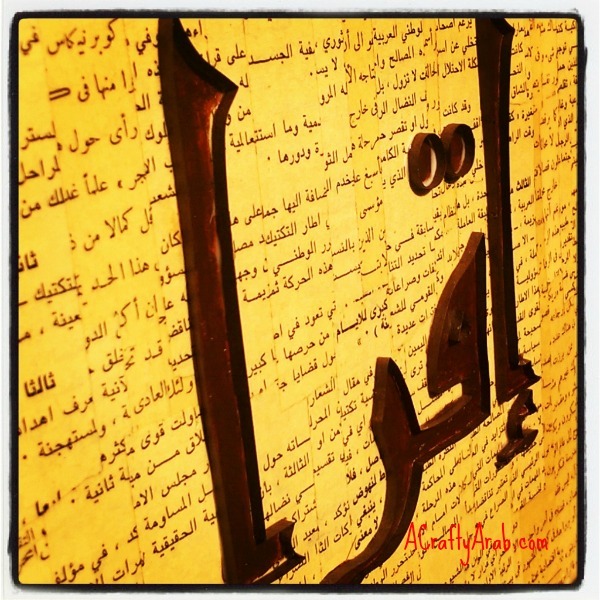 I then painted Iqra on the strips of Arabic font with brown acrylic. 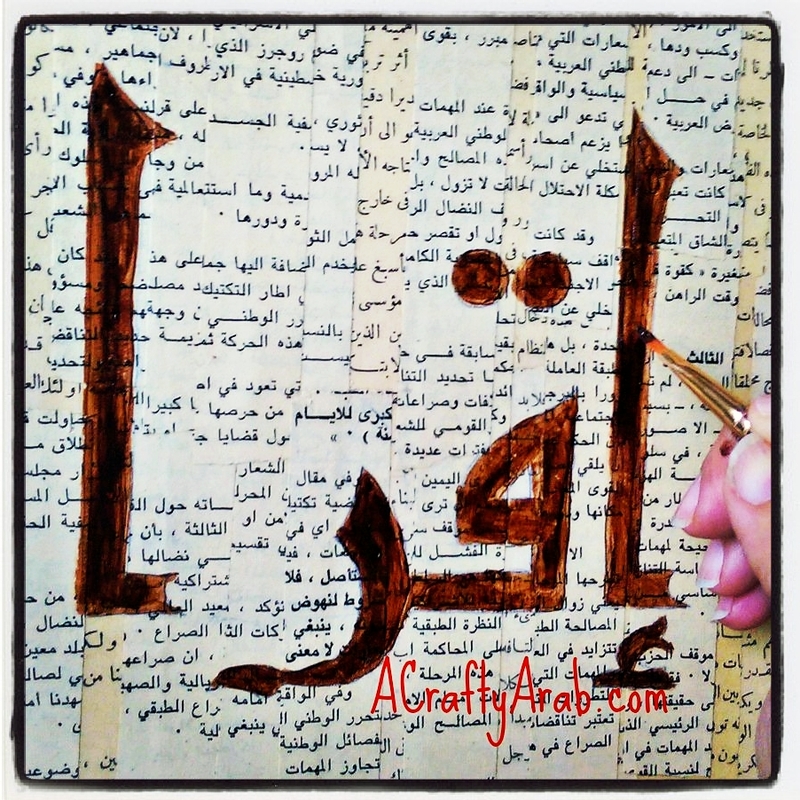 After a few more days and coats, I outlined the Arabic letters in brown quilling strips. 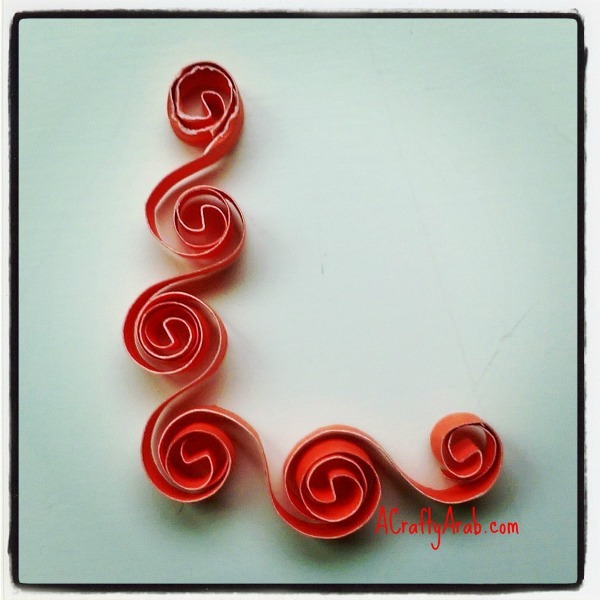 I knew I wanted the letters to stand out more then just adding paper stripes inside, so I taught myself the beehive method of quilling and filled the letters. I almost made it to the end before I started to second guess myself. I tried the peach color strip instead of continuing with the beige beehive filling. But after I placed the canvas across the room for perspective, and asked some online advice, I decided to stick with my original concept drawing that I had planned. Goes to show that you need to be open to other ideas along the process! Once all the biege beehive quilling stripes had been filled, including the tiny, itsy, bitsy, ones below the first alif, I started filling in the outside design, including adding tight coils to the ends of the scrolled quilling strips. If you are local, come see it live at the Homemade Harvest! 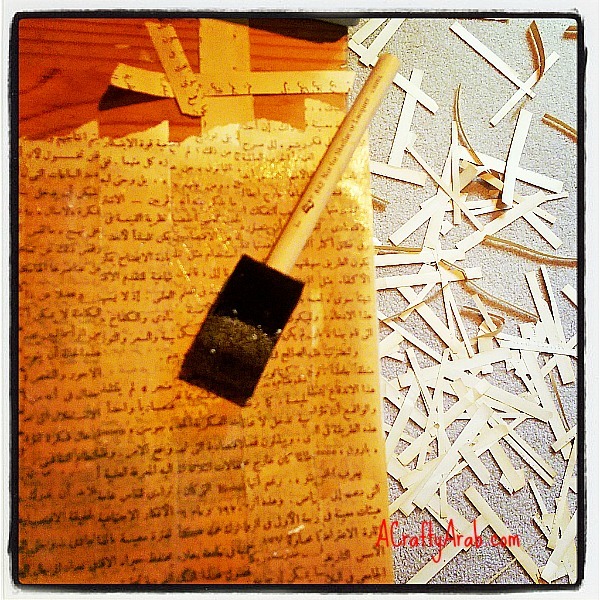 Be sure to check out the hashtag #CraftyArabwip on Instagram to follow along on my next work in progress. 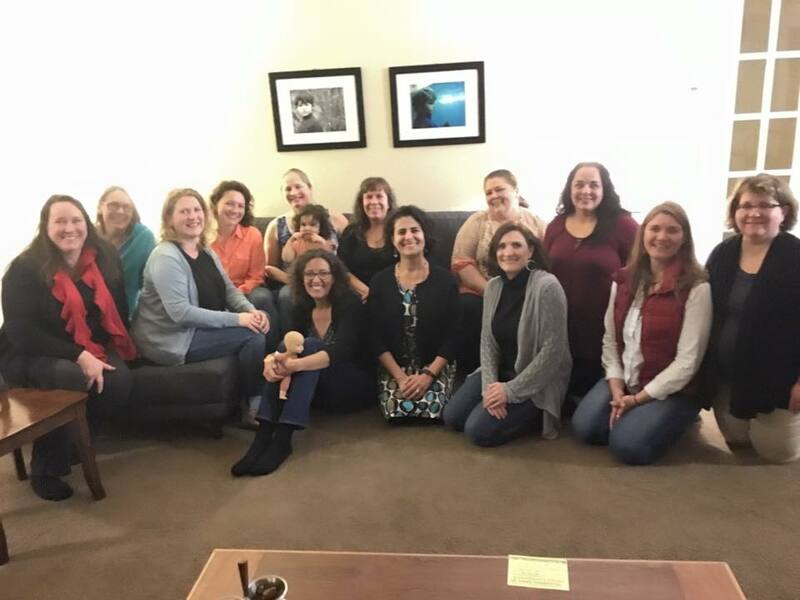 This evening my past mother’s groups had our annual Soup Social reunion. The Soup Social was one of the best attended events when the group was active and a few brilliant members have decided to continue it. A Soup Social is held in a home (thanks D!) and everyone is to bring a homemade soup. 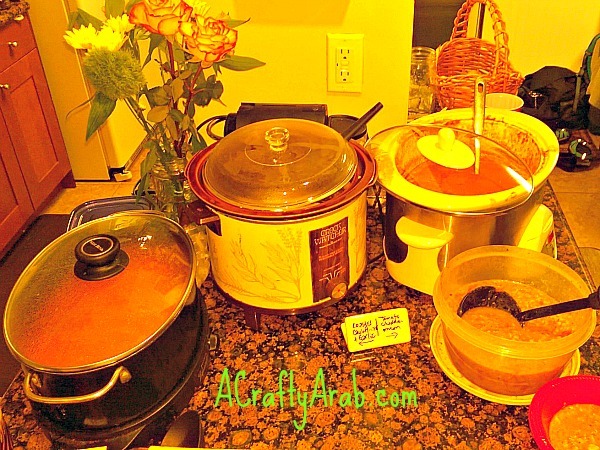 If you are not able to bring a soup, breads and desserts are encouraged as alternates. We had 10 different types of soups, including the Lebanese Lentil Soup I brought, homemade rosemary bread, olive bread, crackers, french bread, and a dessert table covered with chocolate eclairs, homemade gingerbread cake, and so many other goodies I’m getting full just thinking about them again. 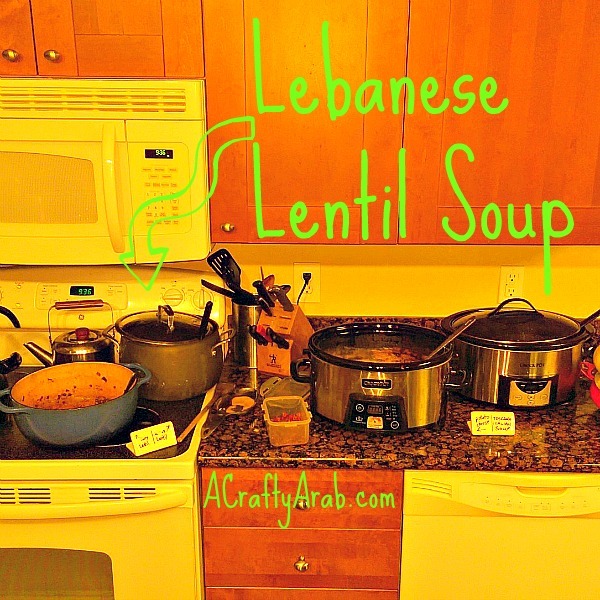 I found the Lebanese Lentil Soup recipe here after I met Amanda at the Arab Festival last August. Her food demos were so full of goodness, I knew when I got the invite for the event that I would go straight to her website to look for a fall, warms your bones, soup. It was there that I found this Lebanese Lentil Soup. 1. 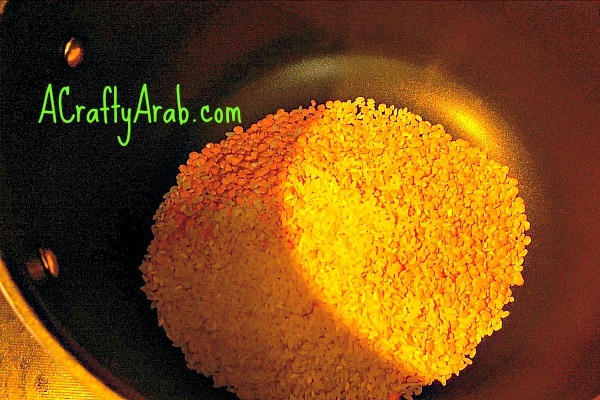 Rinse the lentils and rice and place them in a stock pot with 2 cups of the vegetable stock. Bring to a boil then reduce to a simmer and cover. 2. Drizzle a layer of oil in a pan and add the rest of the ingredients EXCEPT the 6 remaining cups of vegetable stock and lemon juice. We’ll put them in later. 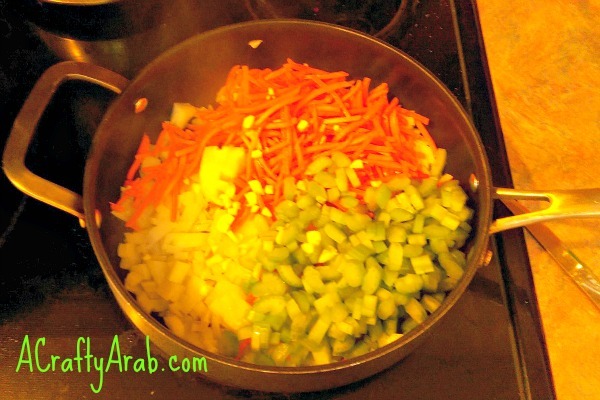 Mix everything together for a few minutes until your saute vegetables are soft and look like this. 3. 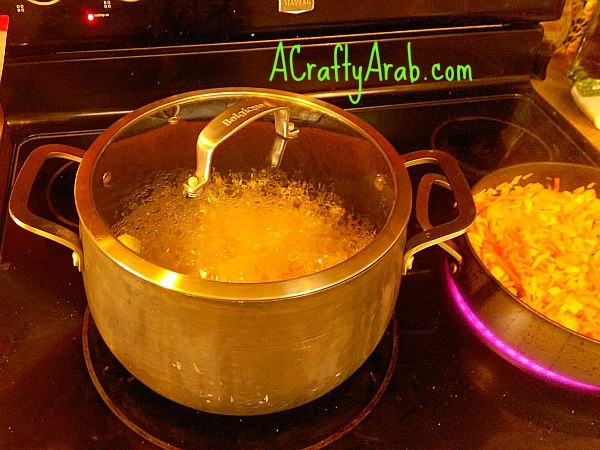 Pour what is in the pan to the pot and once the vegetable stock has been reduced down, add the remaining 6 cups. 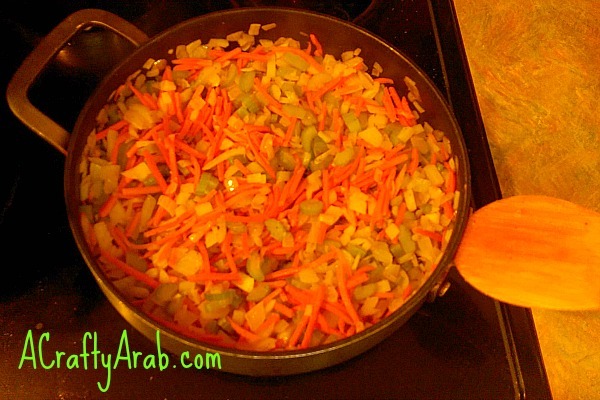 Continue to simmer for 35-40 minutes, or until lentils are tender. 4. 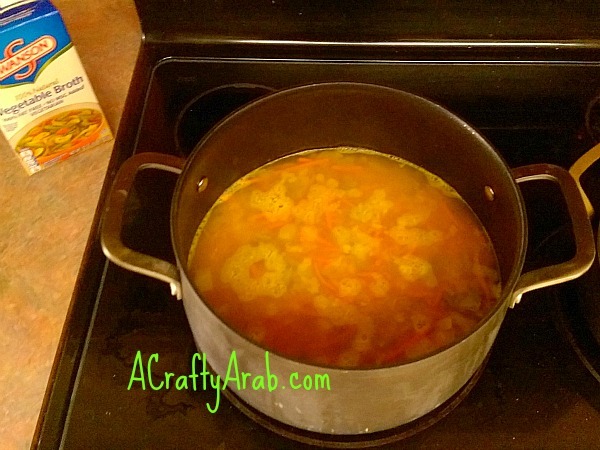 Add lemon juice and enjoy your Lebanese Lentil Soup. Here are all the lovely ladies that brought the yummy food. And a cutie pie that brought the entertainment.